Hydration is one of the most basic tenets of good health, and yet most people would agree that they’ve slacked off at one point or another in their water consumption. During pregnancy, though, women often change (and stick to) their diet and exercise routine in the name of a healthy baby. A big change that women often make related to health improvement is drinking enough water to stay hydrated. Sometimes, though, these changes don’t produce intended results. How are toxins passed to the fetus? A 2015 review of 10 previously published studies found that the placenta, an organ that connects the growing fetus to the uterine wall, oftentimes contains a number of toxins, including mercury, lead, and bacteria. The placenta allows a mother to transfer nutrients and oxygen (among other things) to the developing fetus via the mother’s blood supply. But as a result, the placenta can transfer toxins to the fetus as well. It’s important to note that not all toxins can pass from a mother to the fetus. In fact, much of the time, waste from both the mother and her fetus are filtered and discarded by the mother’s liver and kidneys. Still, a 2004 study found that a staggering total of 287 chemicals were found in the umbilical cords of a sample of babies born in August and September of that year. Three specific elements that are most often passed along to the fetus via the placenta include mercury, lead, and cadmium. Environmental factors make it inevitable for some number of toxins to pass through the placenta to the baby, including from pollution and stress, but other contaminants, for example toxins contained in drinking water, can and should be removed. 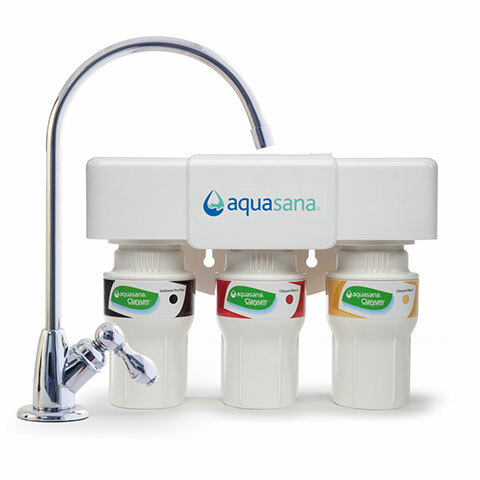 It’s true that water offers a lot of benefits, but if water quality isn’t properly monitored or if water is pulled from questionable sources, it could also contain a number of pollutants, including chlorine, chloramine, certain bacteria, and lead. In 2010, the Minnesota Department of Health released a safety guidance on drinking water in the sate. The department outlined a few steps families with new babies can take to ensure their baby drinks the cleanest water possible. The first step is to research whether the water that families are giving their fetus is sourced from a private well, which isn’t regulated by the Environmental Protection Agency (EPA), or a public water system. If it’s sourced from a private well, the state recommends independently testing the water for bacteria, nitrate, and arsenic. 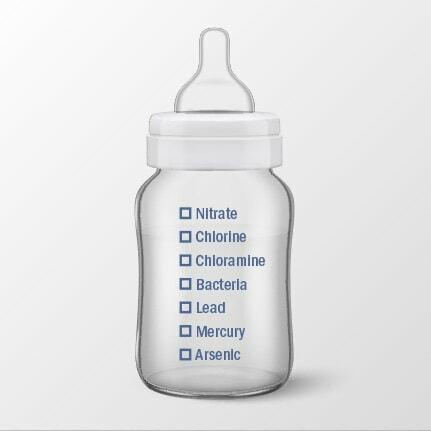 All of these potential contaminants in water are toxic for both adults and fetuses, but the Minnesota Department of Health adds that well water with high levels of nitrate – 10 milligrams per liter – could cause a fatal disease, called blue baby syndrome, in babies younger than six months old. Blue baby syndrome occurs when nitrites in the water cause a decrease in the amount of oxygen hemoglobin can carry, which leads to death. While the number of potential contaminants in well water is alarming, it’s relevant to approximately 15 percent of the US population, which uses private wells as their primary source of drinking water. Unfortunately, even if a family does not use private wells for their water supply, that statistic should not provide any sense of ease quite yet. It’s necessary for families that rely on a public drinking water source (tap water), which is regulated by the EPA, to still heed safety warnings. The Department of Health suggests that someone using a public drinking water supply should allow their tap water run for about a minute before drinking in order to reduce levels of lead in the water. Per the studies cited above, lead is one of the predominant contaminants found in the placenta. What’s the best way to keep the fetus safe? Even though drinking water seems like public enemy number one right now, it’s one of the easiest health factors to fix. 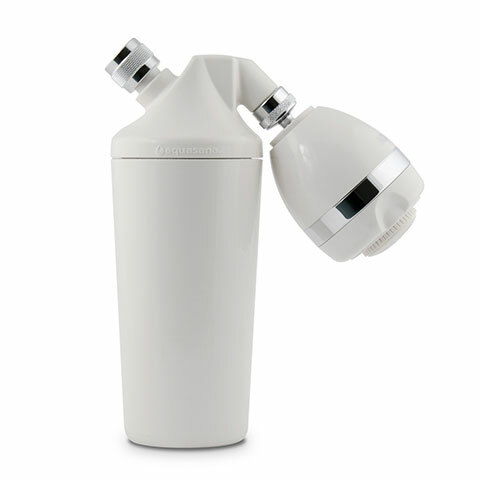 Home filtration systems are one option to provide consumers with peace of mind about drinking tap water. Again, doing research before choosing a filtration system is vital because each system filters for different toxins and bacteria. 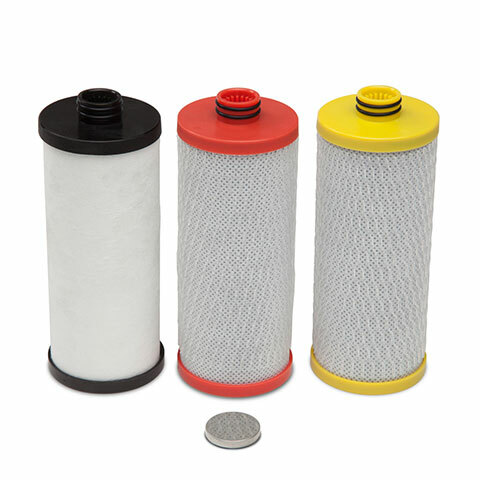 Certain groups provide independent testing of these filtration systems. One such group, the National Sanitation Foundation (NSF), is a nonprofit organization that independently tests, audits, and certifies these products. Don’t waste tap water by running it for an extended period of time before drinking. A filtration system will do the trick.